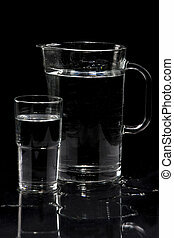 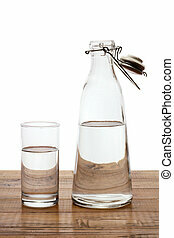 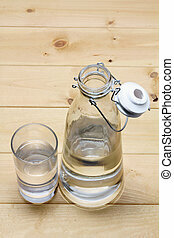 Glass with water and jug. 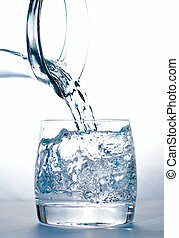 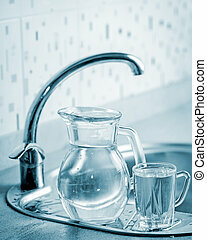 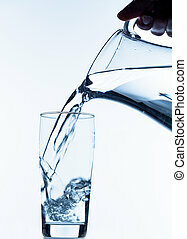 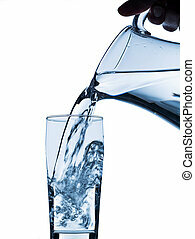 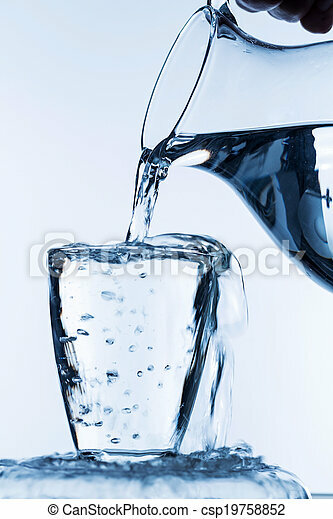 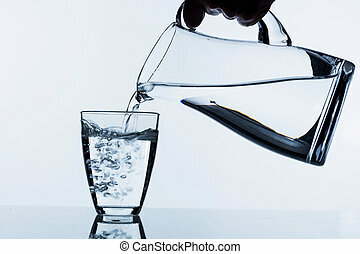 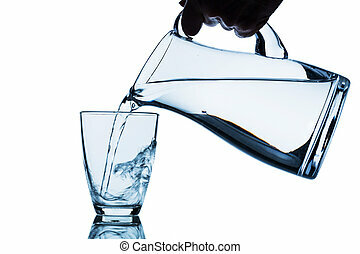 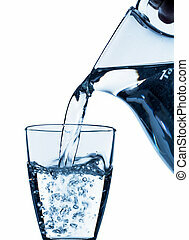 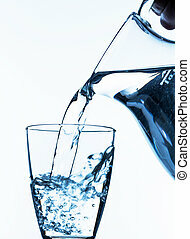 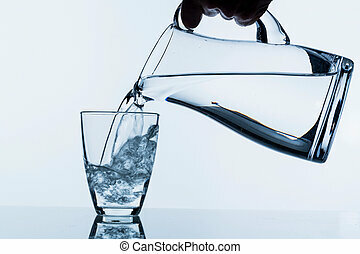 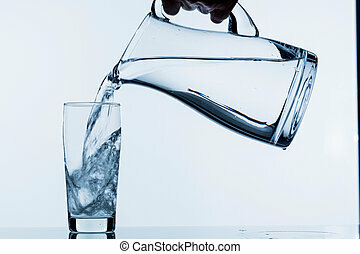 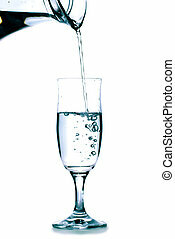 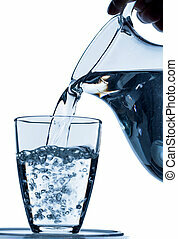 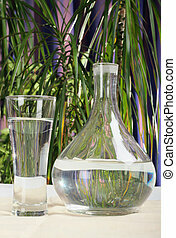 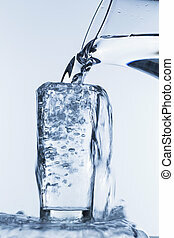 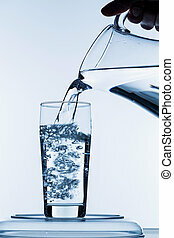 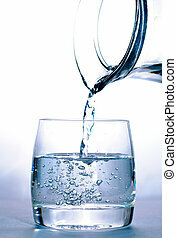 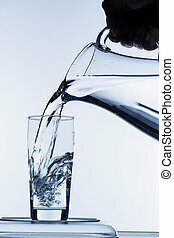 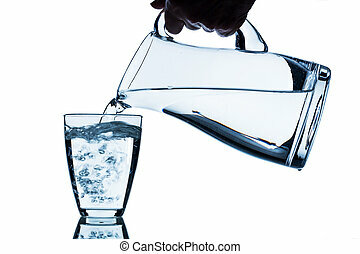 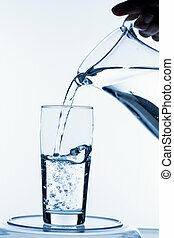 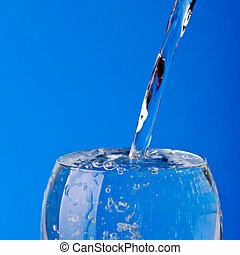 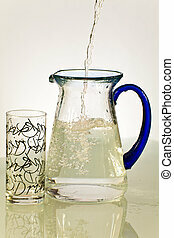 Pure water is emptied into a glass of water from a pitcher. 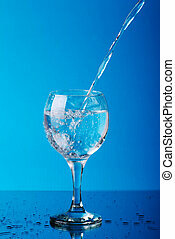 fresh drinking water. 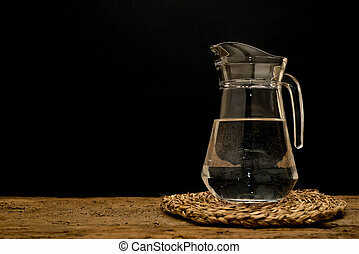 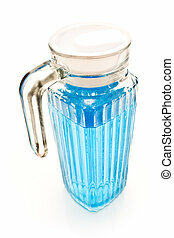 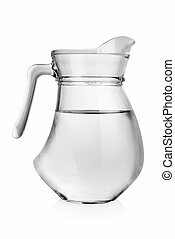 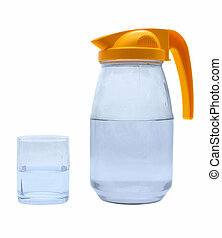 Jug, glass with water on a white background.